It’s a pretty great speaker although, as you’ll see in a moment, the Alexa integration is more of a novelty than a core feature. Here’s what we made of our time with it. 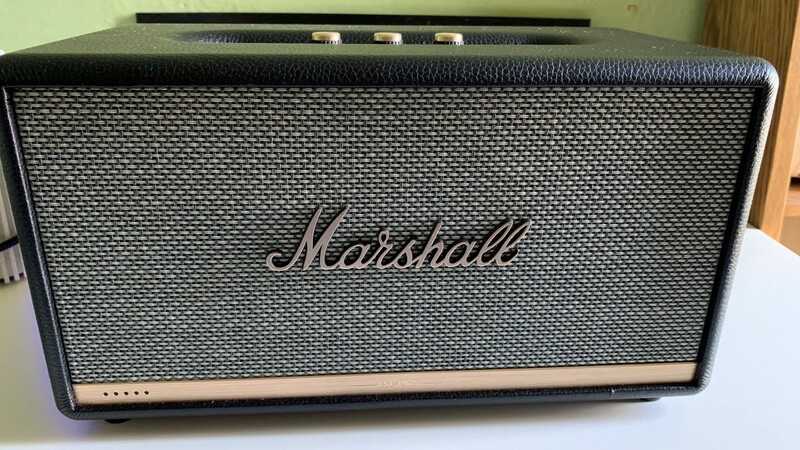 Marshall’s guitar amps are some of the most recognized in the world so it’s hardly surprising that the Marshall Stanmore II Voice takes that familiar look and merely tweaks it a little to fit the home speaker appearance. It has a meaty looking presence to it. It looks expensive and is suitably heavy at just over 10 pounds and at 13.78 x 7.68 x 7.28 inches it’s a decent size too. Hefty enough to pack a punch, but small enough that you can still put it somewhere in your living space without feeling like it’s dominating the space. There’s no need to make concessions in exchange for portability, as this speaker requires mains powers to run. As a little nod to Marshall’s pedigree, there’s even room for the legend ‘EST 1962’ to be embossed across the fascia, just to remind you of its heritage. The sense of class continues with how the knobs work on top of the device. There are dials for volume, bass, and treble with LED indicators that light up to reflect their position. There’s a weighty feel to them too, so don’t be surprised when you childishly tweak them at first just for the sake of it. Elsewhere on top is a 3.5mm auxiliary analog input, a source selector button, play/pause, and a mute/unmute button for the mic so Alexa doesn’t have to listen to everything you say. The back of the device offers a pair of RCA analog inputs and a bass reflex port. Wireless connectivity offers up Bluetooth, Wi-Fi play, and Spotify Connect. 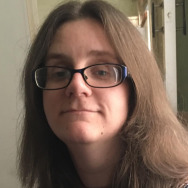 Things can be almost as varied as you want them to be, although I expect most people to opt for the Bluetooth connectivity a lot of the time. Where things get a little more complicated is actual setup for the Marshall Stanmore II Voice. 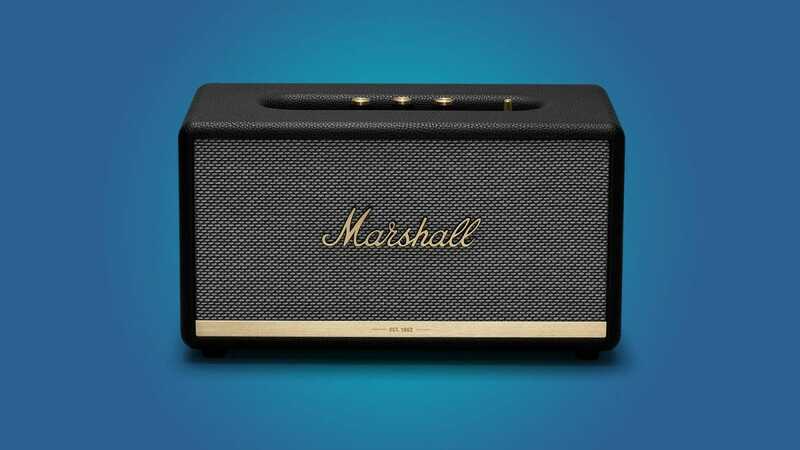 The speaker comes with a very brief quick-start manual that basically tells you to plug the speaker in and download the Marshall app. Hooking it up to Bluetooth is a pretty standard process except I found it was a little obtuse. There’s the usual hold a button down to put it into pairing mode but I found it took a couple of attempts for my iPhone XS to spot it and get set up. It’s a minor inconvenience that could be put down to the quirkiness of Bluetooth but the fact there’s such a basic and practically non-existent manual (a full one is available online) means you’ll have to use your prior knowledge of Bluetooth tech to figure things out. It’s fine if you’re used to tech but delegating to someone who’s not so experienced? They might run into issues. On the plus side, once paired, the app does a lot of the other hard work for you. 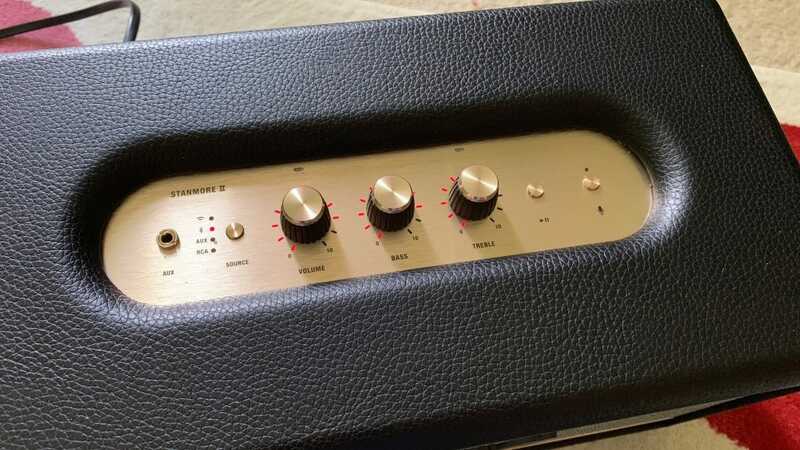 The Marshall Stanmore II Voice has a choice of controls. If you’re physically close to it, you can tweak things from there, or you can use the app to fine-tune the sound to your desire. As mentioned, the dials feel suitably weighty and like you’ve paid good money for the speaker because, well, you have. It’s those little things that add up when it comes to feeling good about your purchase. The Marshall Voice app is where you may find yourself spending more time, however. After all, you’ve already used it to set things up initially. Like a lot of things about this speaker, it’s as complicated as you want it to be. Want to just play music and leave the app to do the fancy stuff? Dip into the EQ presets and there’s a bunch of options according to the music genre you happen to be listening to. If you’re not exactly an audiophile (other than liking music to sound good), this is just right for getting the best results out of the speaker. However, you can easily tweak things manually if you want and know what you’re doing. 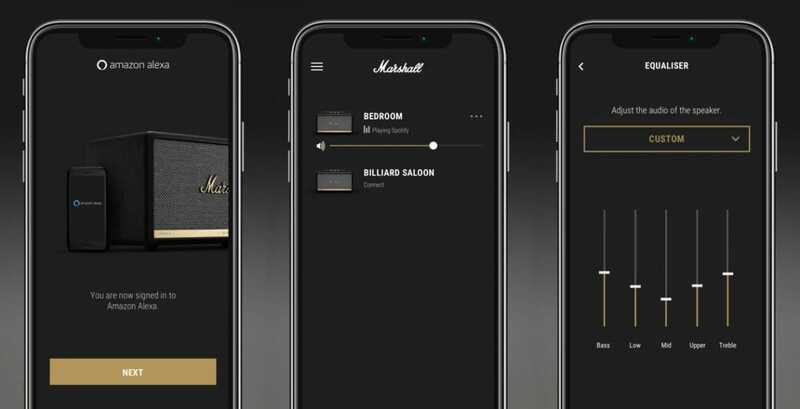 Within the app, you can also do things like change the input source (saving you a trip over to the physical unit any time you want to switch between your smartphone’s music and Spotify, for instance), tweak the LED intensity on the speaker, rename it, or hook up multiple other Marshall speakers so you can control the whole home from the one app. 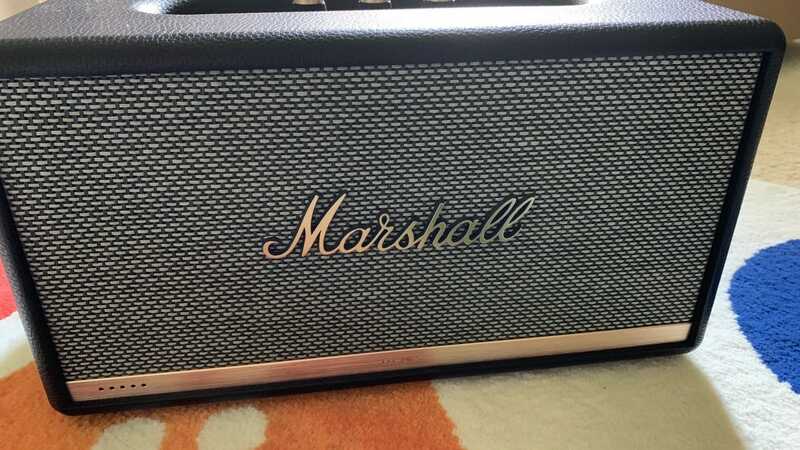 Providing you solely have Marshall speakers, of course, as they only link with each other. The app is a little basic looking but that means it’s simple and straightforward. It’s also where you need to go to sign into Amazon Alexa. Alexa support is a nice addition but the Marshall Stanmore II Voice isn’t as smart at listening out as you’d like it to be. If you’re near the speaker and willing to speak a little more deliberately than usual, it’s good to go, but this isn’t a perfect smart speaker by any means. 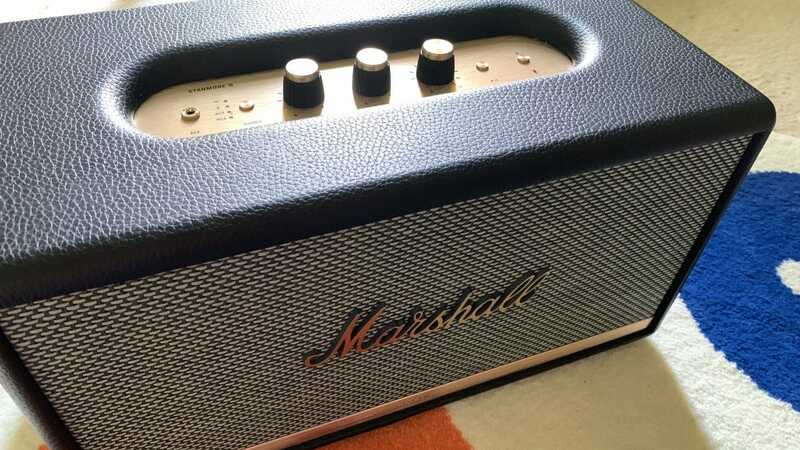 The Marshall Stanmore II Voice uses a pair of far-field microphones to listen out, no matter how loudly you’re playing music, but she’s not the sharpest at picking up what you’re saying if you’re a short distance away. She works best when you’re in the same room otherwise you’re going to have to speak up, even if you’ve just stepped a short distance away from the room the speaker is situated in. It’s best to consider Alexa a bonus to the speaker’s solid audio credentials rather than a key reason to buy it. If you’re reading this and thinking “hey, how about Google Assistant support instead?”—hold on for a little while. The Google Assistant compatible version of this speaker is set for release in 2019. You know that moment when you realize you made a really good purchase? That moment occurs when you start listening to your favorite tracks through the Marshall Stanmore II Voice. 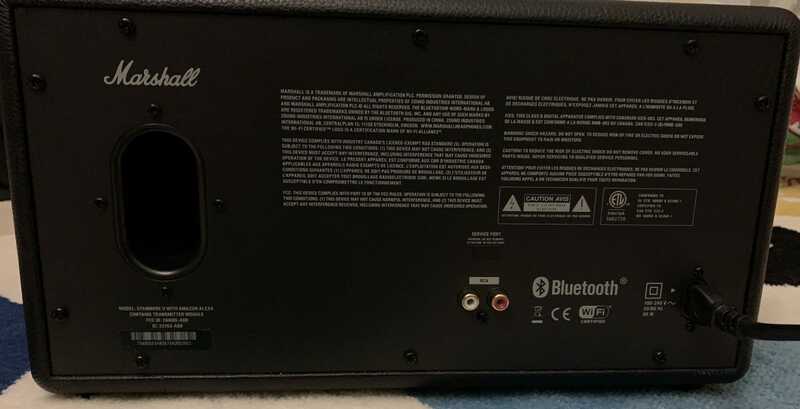 Two 15 watt class D amplifiers power its tweeters while a 50-watt class D amplifier drives the subwoofer. That means grunt and power when you need it, while being subtle and delicate for those quieter tracks. I tested out its bass and all-around power with a few Foo Fighters and Queens of the Stone Age tracks. It sounded suitably powerful and made me want to listen to more. I’ve found a good test is to load up some of a friend’s album. Recorded on a limited budget without having been put through expensive processes, I know a good speaker or set of headphones can pick up finer nuances that cheaper forms of audio just can’t achieve. The Marshall Stanmore II Voice somehow made everything feel fresh and new again. I could hear subtle notes that I didn’t usually notice when listening on other devices. Whack it up to 10 and your neighbors will grumble, but it easily demonstrates the power of this speaker. I found 4 or 5 was ample enough but if you keep turning it up, there’s no loss of quality here. The balance is finely maintained at all volumes. That’s simply assuming you’ve left the app at a preset EQ rather than dabbling yourself. There’s not much of a need to tweak unless you’re super keen to see what the difference is. The unit simply oozes good sound quality. In a word—yes. Sure, the Marshall Stanmore II Voice isn’t perfect. Needing to choose between Alexa or Google Assistant support will be an issue for some households. Also, the Alexa support itself isn’t perfect, requiring you to speak a little more clearly than other smart speakers. This isn’t a household solution—it’s a perk within an exceptional set of speakers. Because yes, when it comes to sound quality, this is a fairly wonderful speaker. Never missing a proverbial beat, it’s sure to improve your aural experience at home. The fact it looks great at the same time makes it all the better. It’s a purchase decision you won’t regret. It’s a sad fact that the Xbox One has the fewest notable exclusives among the major game consoles. There are still a few, though, and these are some of the best. If you’re ready to wade out of the shallow end of the mechanical keyboard pool, then it’s time to start building your own. Here’s everything you need to build your first one from scratch.